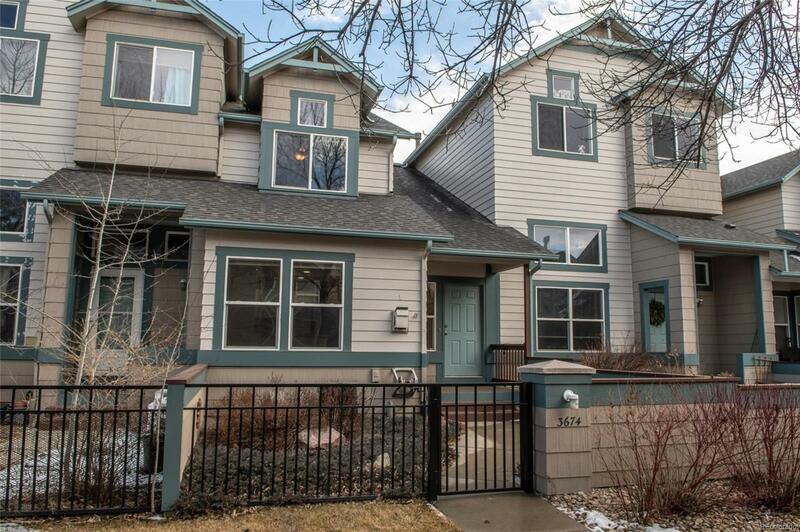 Warm and inviting townhome style living in popular SW Longmont. The open concept floorplan allow all the spaces to flow together for everyday living and effortless entertaining. Dual master bedrooms feature their own bathrooms and walk in closets. Unfinished basement awaits your creativity and there is a two car attached garage. Delightful front yard is your own personal oasis. Community pool and parks compliment the neighborhood. Close to shopping, restaurants and easy commute to Boulder. Enjoy the seasonal mountain views and hop on the local trails. Offered by Re/Max Of Boulder. HomePopper at Re/Max Structure- Licensed in the State of Colorado. The real estate listing information and related content displayed on this site is provided exclusively for consumers’ personal, non-commercial use and may not be used for any purpose other than to identify prospective properties consumers may be interested in purchasing. This information and related content is deemed reliable but is not guaranteed accurate by the Pikes Peak REALTOR® Services Corp. Data last updated 2019-04-22T12:40:55.107. © 2019 Information and Real Estate Services, LLC. IDX information is provided exclusively for consumers' personal, non-commercial use and may not be used for any purpose other than to identify prospective properties consumers may be interested in purchasing. Information is deemed reliable but is not guaranteed accurate by the MLS or HomePopper at Re/Max Structure. Data last updated: 2019-04-22T12:37:54.737.